The popular options with our gazebos are screens or screens with 4-track windows. The 4-track windows come tinted or clear, and the windows are very easy to operate. The floor has screens under the floor boards to keep the Mosquitos out. All the gazebos come out of 40-year tested wood or wood wrapped with vinyl. Electrical and benches are available. Also enjoy a gas fire inside the gazebo. Relax and enjoy the gazebo all day and night. 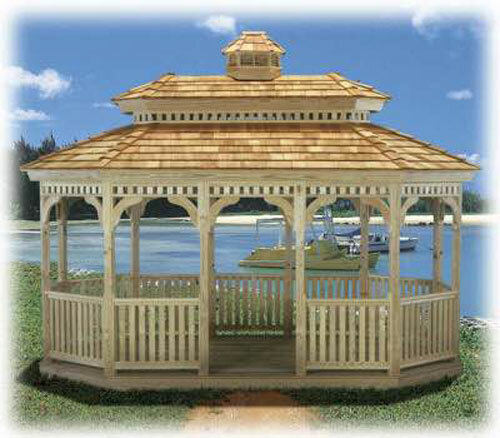 The size available in this gazebo are 8′, 10′, and 12′ and length goes from 12′ to 24′.